Banate is a coastal town in the northern part of the Province of Iloilo, Western Visayas (Region VI), Philippines, about 50 kilometres (31 mi) north from the provincial capital of Iloilo. It has a land area of 10,289 hectares (25,420 acres) and a population of 29,543 inhabitants. The town has a port for boats that transport passengers and local products, like rice, mangoes, and sugarcane to the island of Negros. The town is primarily a fishing and agricultural municipality, with large areas planted with rice, sugarcane, vegetables, beans, coconut and bananas. Banate is well known for Kasag (crabs), ginamos, and the fresh fish, which local entrepreneurs take to and sell in the capital of the province, in many of the non-coastal towns, and even in Manila. Banate is composed of 18 barangays, seven (7) of which are along the coast and the rest are in the interior uplands. The settlement in Banate is of ancient origin. It was among the ancient organized territories in Panay, which the Spaniards found, when they came to the Island. It was known to the Spanish missionaries during the earliest dates of the colonization as Bobog. The Spanish Augustinian historian Fray Gaspar de San Agustin mentions it in an account about Dumangas and other coastal towns of the Island, where during the ancient time, there was a Principality and trade center that had the most illustrious nobilities in the whole island of Panay. Bobog (Banate), Araut, Anilao, and Hapitan were among the ancient coastal civilizations in Panay. There are theories saying that the Malay settlers arrived in Banate at around 600 A.D., during the second wave of migration from the Suluwesi Island of the southern archipelago of Southeast Asia. First, the most northern part of Iloilo, Estancia, was settled. Some migrants moved to Batad, Balasan and Carles. Then, Ajuy was settled, and from there communities spread to inhabit the present Conception and San Dionesio area. In time, communities of Ajuy spread upland to populate hamlet of Sara. The families of Sara spread to Lemery. Other families inhabit coast of Bobog (Banate-Viejo), and traversed the mountain now San Rafael. Some families founded near the River Jalaud. Others moved further South and settled in Irong-irong and finally stopped at Ogtong. These independent coastal settlements were devoted in fishing, and settled near rivers. Fr. Murillo Velarde’s 1734 Map of the Philippines showing Banate as one of the ancient towns on the island of Panay. At the beginning of the Christianisation of Panay, Bobog was a visita (chapelry) of the Augustinian parish and monastery of Dumangas. Gaspar de San Agustin mentioned the existence of the town in his book Conquistas de las Islas Filipinas (1565–1615). Another Augustinian historian Fray Juan Fernandez, in his Monografias de los pueblos de la isla de Panay, affirms that Banate was known in the ancient times as Bobog or Bog-og, which is synonymous to catia, that is to say- glass. The Augustinian friar says that the modern name Banate might have been derived from some flora that abundantly thrive in the town. One possibility is the Butacea, named by Carl Linnaeus as Murraya exotica. If the spelling and the pronunciation are corrupted, and instead of Banate what is written or pronounced is Bangate, it would therefore be the leguminous papilionácea called in botany as Abrus praecatorius. To the inhabitants, the town’s modern name is commonly attributed to the presence of many Bangate trees in the area. 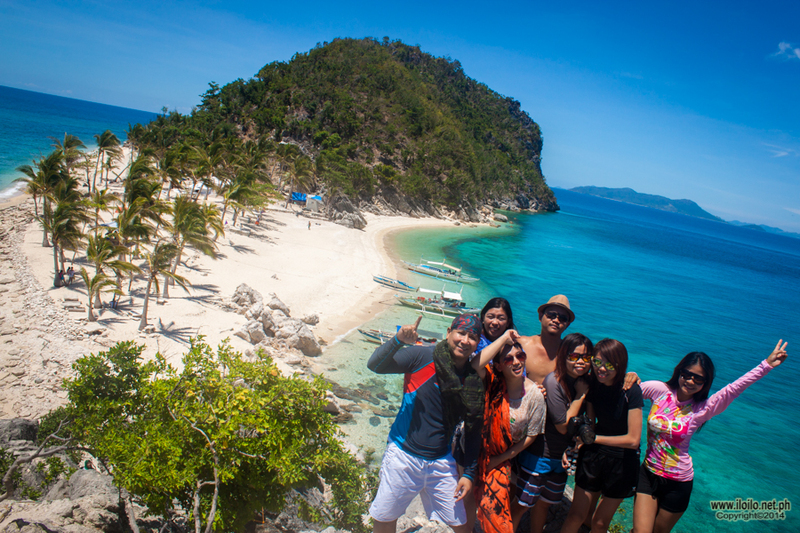 According to a local legend, when the Spaniards arrived, all the inhabitants of Banate fled away for safety. An old man, however, failed to escape because he was of advanced age and was already so weak. It was raining then. So, the old man took shelter under the Bangate tree where a Spanish officer found him later on. The white man asked the native; ‘Come se llama esto pueblo?”, The old man, uncertain what to say, merely said “Bangate” thinking that the Spaniard was asking him about the name of the tree. Unable to understand clearly what the old man mumbled, the Spaniard thought the native had said “Banate”. While such legend sounds too absurd to be true, it is the only explanation often given by people when asked why their town is called Banate. Indeed, Bangate trees still abound within the territorial limits of the municipality until now. 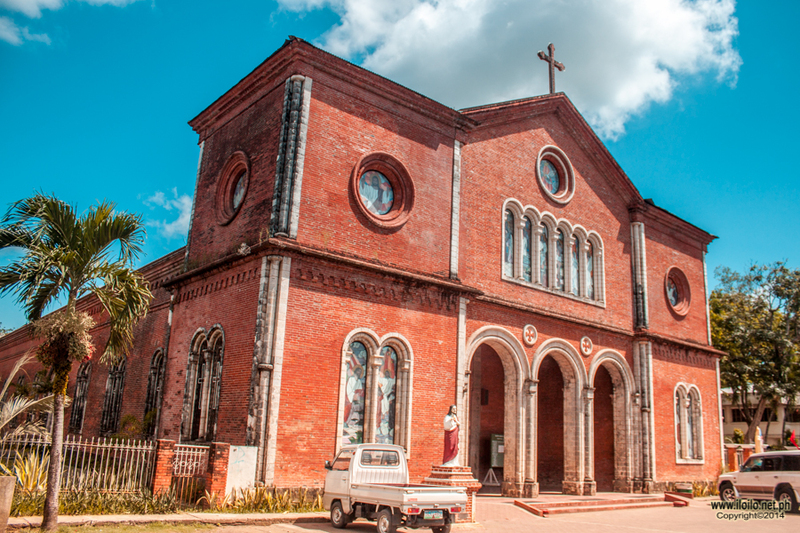 Bobog, in the early part of its history as a Christian settlement and a Visita of Dumangas, was placed under the advocation of St. John the Evangelist. In the early part of the 1700s, it was called “Banate Viejo” by the Spaniards. A map of the Philippines, made by the Jesuit priest Fr. Murillo Velarde and published in Manila in 1734, shows Banate Viejo among the ancient towns of the island. Fr. Juan Fernandez says that Banate was formally established as a municipality in 1763. By then it acquired as its Visita the settlement of Sinaba-an. Fr. Alejandro Arias was appointed as the priest for the town on October 31, 1763. 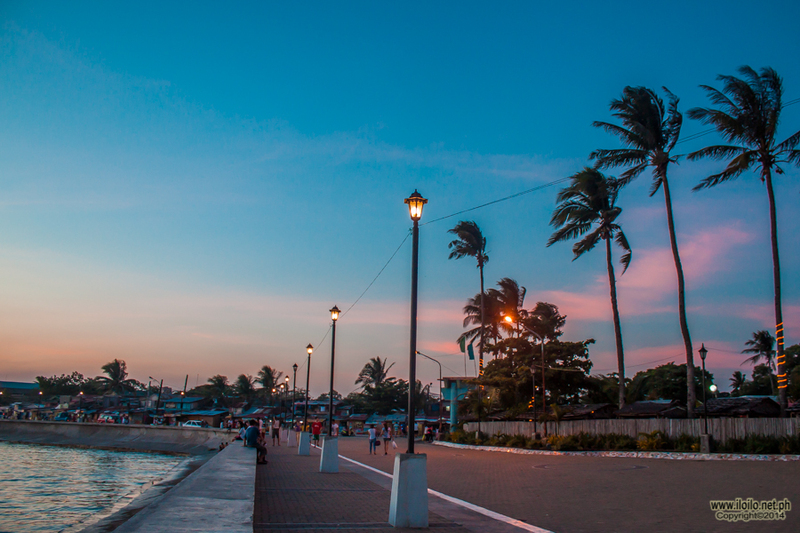 Being a coastal village with a rich fishing ground, Banate is naturally inclined to flourish. However, it was also a natural target to invaders. During the Spanish Regime, many people would leave the town because of the frequent incursions and pillage of the Moros from Mindanao, one of which happened in 1764. Fr. Arias, the town’s priest was escaping this raid, when he was captured by Moro pirates in year at the Port of Tayabas. Later, the invaders executed him. Consequently after the Muslim pillage, Banate was re-annexed to Dumangas, then became to a Visita of Barotac Nuevo until 1843, when it was declared again as an independent parish, with St. John the Baptist as its titular patron. Seven years later, Governor General Antonio Blanco, without doubt forgetting the earlier decree, declared Banate as an independent parish on 15 April 1850, at the same time as that of Anilao. Another interpretation for this decree might be that: in creating the new Parish of Anilao, Blanco re-affirmed the status of Banate as a Parish. It is possible that considering the destruction of the town on several occasions in the past, carving out a territory from Banate in creating a new parish might be misinterpreted as reducing the town again as a Visita. There is no extant document or act of legislation recording the date of the formal recognition and establishment of Banate as a municipality. A possible explanation could probably be attributed to the fact that Banate was among the ancient towns in the island of Panay. It was in 1837, however, that the town officially had its first Gobernadorcillo in the person of Felix Baviera. Included within the territorial jurisdiction of the town of Banate during this time were Barotac Viejo and Anilao. The original site of the Poblacion of Banate was in what is now known as Bularan. The small Church there, around which the town grew, was then situated near the shore. Nearby towards the North was the town cemetery. For the market place, nipa and bamboo shacks were constructed near the area where the first Church used to be. During the later part of the 19th century the present Roman Catholic stone Church was constructed in the adjacent barangay which subsequently became the Poblacion or the capital of the town. The present Church of the parish was built in 1870 by Fr. Eustaqiuo Torés. It was made of stone and wood during the Spanish time. His successor, Fr. Manuel Santos, built the convent made of wood in 1883. On 28 October 1898, during the Revolution for Philippine Independence, Banate (which remained loyal to Spain) was reduced to ashes by the rebels under the ill-mannered Juan Maraingan - a leader of one of the bandit groups or “aggraviados” (boyongs, pulahanes, and tulisanes), who took advantage of the unsettled times to come down and attack the Spanish forces and unprotected towns and villages. The revolutionaries welcomed cooperation with these groups, but would later make a clear distinction between the two movements. The relationship between the principalia-led revolutionaries and the agraviados was marked by distrust and conflict. In the eyes of revolutionaries like Martin Delgado, Ananias Diocno, and Leandro Fullon, the agraviados were outcasts, religious fanatics. P. Eustaqiuo Torés (1870) – responsible for building the stone edifice. P. Manuel Santos (1882) – built a wooden convent. P. Bernardo Arquero(1893) – his name is cast on the largest bell of Banate which is unfortunately, broken. Ludovico Arroyo Bañas, (standing in the middle) with his staff at the Office of the Telecommunications Bureau, Region IV, in Iloilo City, c. late 1950s. When the Americans seized control of Panay at the later part of 1899, Banate was among the first settlements they bombarded and chose as landing spot for their forces. On October 27, 1899, General Diocno informed General Delgado of the docking at Iloilo of the USS Concord. On board were 3,000 troops and 200 horses. On November 2, two American gunboats bombarded the town of Banate. On the 5th, American forces began their advance outside the frontlines toward San Miguel. Landings were made in Banate on November 25, in Capiz and Calivo in December, and in San Jose de Buenavista in January 1900. Unable to resist the American advance, the Filipino revolutionaries retreated to the mountains of Panay. Delgado retreated to the mountains of Lambunao, Diocno to the hills of Aclan, and Fullon to the vicinity of Mt. Madia-as. By July 1, 1900, the Panay defenders had opted to shift to guerrilla tactics. By the beginning of 1901, the disenchanted revolutionaries had run out of men, ammunition, and food. In February, Delgado surrendered to the Americans. On March 1, Fullon followed suit, and on March 21, Diocno signed the Paz de Aclan. Colonel Salas continued the fight until October. When the Revolution broke out in 1898, Ciriaco Fuentes, more popularly known as Capitan Takong, was the Gobernadorcillo. He seems to have become also the first local President, when shortly after, the town became part of the United States territory (1900) upon the arrival and takeover of the American soldiers under the command of Commander Brunnel, who established the American Regime in the town. During this period, Barotac Viejo and Anilao were reduced as districts under Banate. On 1 January 1918, Barotac Viejo was separated through the Executive Order No. 84 of the American Governor General. On that occasion, the majority of the town Officials of Banate were Barotacnons. As a consequence, there came about a succession of appointed Presidents in Banate, until the time of the next election. During the term of Benjamin Buyco as President of the town (1936–1939), Anilao was separated from Banate. Afterwards, Benjamin Buyco also became the first Mayor of Anilao. During the American Regime, a Banatenhon – Ludovico Arroyo Bañas – was chosen as one of the ten personnel of the American government telegraph service in the Philippines to compose the first and only group of Filipino pensionados who, in 1919, underwent advanced training in wireless telegraphy (radio), at the US Naval Radio School in Cavite. The training of the ten Filipinos was made possible through a special arrangement between the U. S. Naval Authorities in the Philippines and the Insular Government. To select the trainees, a special examination was conducted among the 398 students of the Post-Telegraph School. Later, Bañas (who is one of the prominent figures in the history of Philippine Telecommunications) became the Regional Superintendent of the Bureau of Telecommunications (BUTEL) in Region IV (Panay, Negros, Romblon, and Palawan), at the time of his retirement during the late 1950s. The 1995 National Census on Population and Housing shows that Banate had a total population of 24,976 excluding those residing in Barangay Fuentes (a contested Barangay between Banate and Anilao). However, if Barangay Fuentes is included, the total population would be 25,597. Banate has average annual population growth rate of 1.21% based on the population change within the years 1990–1995. In the year 2010, the town’s population reached 29,543. Being a very versatile town with livelihood income both coming from the sea and the farmlands, the Municipality of Banate has generated actual income from calendar year 1995 to calendar year 1999 reaching up to P82,167,999.30. The increase of the town’s income was mainly due to the increase in revenue allotment, tax, and operating revenue of the municipality. 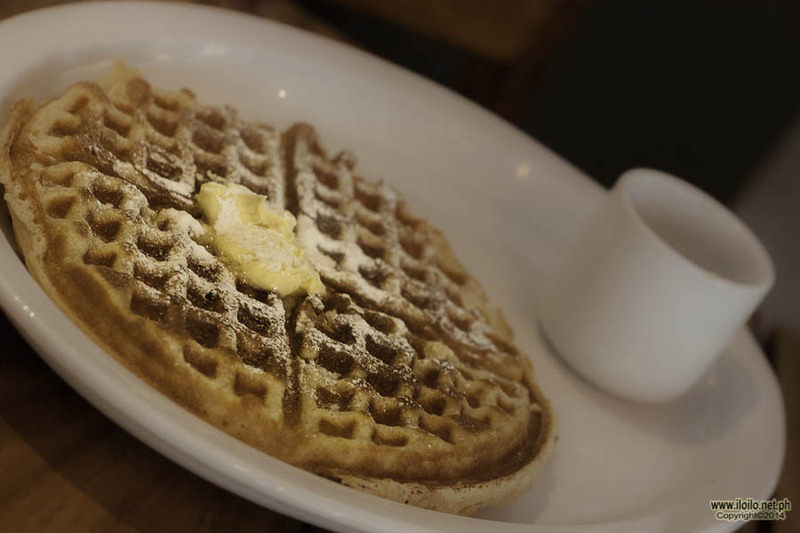 It could be observed that Banate is increasingly growing in commerce and industry. the 1995 Census of Population and Housing (which includes Barangay Fuentes) recorded a total of 4,761 households with an average household size of 6 person per household for the urban area, and 5 persons per household for the rural area. The urban area, comprising Poblacion, Barangay Alacaygan, Barangay Bularan, Barangay Carmelo, Barangay Talokgangan and Barangay Zona Sur, had a total household of 1653. The 12 rural barangays had a total of 2,908 households with Barangay San Salvador having the highest number households (480). The 12 barangays belonging to the rural area had a population of 15,772 or about 62% of the total population of Banate. Of the 12 barangays, Barangay San Salvador had the highest population (2,380 or 9.31%, while Barangay Fuentes, (a disputed barangay between the Municipality of Banate and the Municipality of Anilao) had the least population of only 621 persons or 4% of the rural population, since some residents considered themselves residents of Anilao. Population projection shows that from 1995 to the year 2010, the population growth rate is 1.21%. This means an additional potential work force for the municipality, which when properly exploited will generate a maximum income to the town of Banate. The labor force within the twelve (12) year period (1999–2010) will reach to 18,683 and 11,527 of these, will be economically active labor force (15 years old and over). On July 30, 2006, governors from 16 provinces of the Visayas met at the Provincial Capitol of Negros Occidental in Bacolod City to discuss the construction of bridges linking Cebu, Bohol, Negros, Leyte and Panay. They call these bridges the Trans-Visayas Friendship Bridges. Among these bridges would be the Banate-Negros Occidental Bridge, which would link the Island of Negroes to the Island of Panay. Located at the spot nearest to Negros, Banate is the most logical and ideal place for the construction of the connecting bridge between the two islands of the Visayas. The centuries-old ivory image of Mater Dolorosa belonging to the descendants of Capitan Don Martin Balderas, Gobernadorcillo of Banate in the 19th century. The Dolorosa is one of the centuries-old cultural patrimony icons of Banate, seen only during the Good Friday procession. The Christian faithful waiting their turn to venerate the Santo Entierro after the Good Friday Procession. Duaw, as it is commonly known in Banate, is one of the customs of Banatenhons during the Semana Santa Celebration. During the 24th of June, every year, the town celebrates the feast of St. John the Baptist. The “Diana,” a marching band, wakes the townsfolk early in the morning so as to signigy also that it is the fiesta. Masses are held, in both Roman Catholic and Aglipayan Churches after which, devotees’ carry in procession a decorated carroza containing the statue of the Patron saint through the main streets of the town. The townspeople cook typical delicious dishes for the guests to eat and, later in the afternoon, children as well as teenagers go to the plaza to enjoy the fun at the “peryahan” and people throw water to everyone as part of the celebration. During the evening, a “search” for Miss Banate is held in the municipal covered gymnasium. Hundreds of crowds pack up the gym just to cheer and clap for their bets. Banate has, for centuries, also observed the Holy Week celebration in the traditional Catholic custom. The town boasts of antique ivory religious images, which are only seen displayed during the Easter Triduum celebrations and processions. Both the Roman Catholic and the Aglipayan Communities in this town have preserved the Western and Catholic way of making the memory of the passion, death and resurrection of Jesus Christ alive through the heritage received from the Spaniards, who evangelized the town for centuries. The meditation on the seven last words of Jesus and the re-enactment of his last moments on calvary attract devotees from neighboring towns on Good Fridays. Banate is known in the Province of Iloilo for its “lab-as” or savory fresh fruits of the sea. Sometime during the second week of December until the first week of January, the residents celebrate the “Kasag Festival”. It is a celebration of thanksgiving for one of the many blessings that the town is endowed with- “Kasag” (crabs). For weeks, the residents hold a food festival every evening at the town’s plaza, which features the different ways of how the Banatenhons cook crabs, fresh fish and other bounties from Banate Bay. For over 17 years in the making, Kasag festival came as an offshoot of the Annual Street Dancing Competition as highlight of the Annual Town Fiesta, and the promotion of the town’s famed product, the Blue Crabs, through as the Municipality’s One Town One Product (OTOP)project. Previous Street Dancing Competitions were held every 24th day of June, as one of the highlights of the final day of the Annual Town Fiesta honoring and thanking God through the intercession of St. John the Baptist for the fruitful year spent. However, the activities meant at integrating Kasag Festival with the Feast of St. John the Baptist proved to be such a tedious endeavor for Banatenhons, requiring much of their time and effort. Most often, this results to distractions, if not deviations, from the original essence and spirit of the religious fiesta which is about the devotion to St. John the Baptist and thanksgiving to the Almighty God. With the implementation of the DTI’s One Town One Product (OTOP), Banate identified Kasag (Blue Crab) as the prevalent and flourishing fishery based industry thus making it Banate’s OTOP. Promoting the new product and incorporating the product with the festival was conceptualized by the people in charge of OTOP. With positive response from the Local Chief Executive, all systems go for the First Kasag Festival Celebration; with “young blood” from the newly elected public officials and the desire to promote Banate’s One Town One Product as well as Banate’s Tourism Development the First Kasag Festival came into celebration on December 2007. Food Courts of various mouth-watering and native delicacies were there to give justice to the ever-craving and discriminating taste of Ilonggos. A nightly Singing contest to entertain and showcase the singing prowess of Banatenhons was staged. Daily entertaining activities like Laro ng Lahi (old Filipino games), Basketball Tournament and search for Mutya sang Kasag were organized topped by the eagerly anticipated all new Street Dancing Competition based on the idea of Kasag’s preservation for future generation and Kasag’s nature and thanksgiving to the bountiful season of fishing. Selected Kasag performers regularly compete in other festivals. Banate is represented by Tribu Kasag in the Kasadyahan portion of the Dinagyang Festival every January in Iloilo City. The Kasag festival also competes in the Aliwan Fiesta held every April in Metro Manila. Both Tribu Kasag and the Kasag Festival have won several awards, including the Kasadyahan championship trophy in 2009 and 2010, and the second runner-up trophy at the Aliwan Fiesta in 2010. Since 1987, the Municipality of Banate has participated the well-known Kasadyahan Festival which takes place before the Iloilo City’s Dinagyang Festival. Tribu Kasway has represented the town from the year 1987 to 1993. After then, from 1995 to 1999, the town changed the group’s name to Tribu Hugyaw. They won 2nd Place in 1999. Tribu Panagat, the newly adapted name, was Kasadyan Festival’s winning groups in the year 2000. It continued to represent the town of Banate until 2003. From 2004 to 2005, the name “Tribu Hugyaw” was re-adapted by the group. 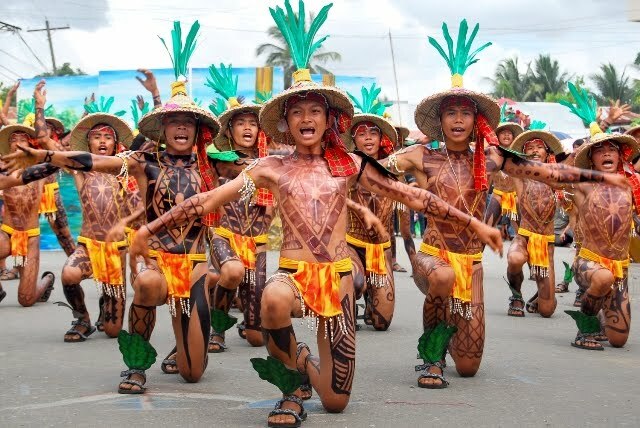 Later and until the present, “Tribu Kasag” represents Banate at the Dinagyang Festival as well as at other festivals in the Province of Iloilo and national competitions of the same kind. This current “cultural ambassadors of Banate” are known for their merry and lively dance which depicts the townpeople’s livelihood as fishermen, and the town’s famed product: “Kasag” or crab(s). Kasadyahan Competition 2008 – 1st Runner-up, Best in Demonstration, Best in Choreography. Kasadyahan Competition 2009 – Grand Champion, Best in Production Design, Best in Choreography, Best in Performance. Aliwan Festival 2009 (National Competition)- 2nd Place. Kasadyahan Competition 2010 – Grand Champion, Best in Performance, Best in Choreography, Best in Music, Best in Costume. A mixture of art, entertainment and skills enhancement: that is Banate’s Karera de Paraw. Held every Easter Sunday of the year, the Karera de Paraw is a sailboat racing competition participated by Banatenhon fisher folks. It is a four day activity, which includes the Pinta Layag (sail painting competition involving the out of school youths), Mutya sang Paraw (a beauty pageant competition), Rakustik (an acoustical jam competition), and capped by the Karera de Paraw on the fourth and final day. It aims to help boost Banate tourism together with Kasag Festival, to encourage artistic ability of Banatenhon youth through the sail painting competition, and to give a good and fun-filled break for the fisherfolks while aiming to bag home prizes. Originally conceived and financed by Alfonso “Nonong” Delicana III, the Annual AD3 Karera de Paraw & Pinta Layag competition is now on its 4th year. However, the expanding scope and number of activities of the event encourages at this point the involvement and participation also of supporters in and outside Banate. Organizers would now welcome donations for the activities of the coming year.